The seaside is far away from the city of Florence, so far in fact that it seems almost impossible to go enjoy the beach and the sun in just a single day. 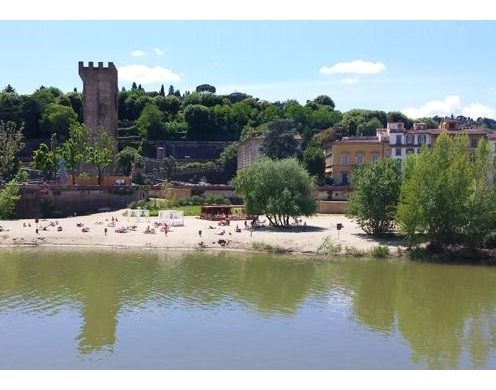 However, for a few years now, it has been possible for the people of Florence to spend a few hours on a beach lounger under an umbrella - thanks to Easy Living: an urban beach (one of the biggest in Europe) situated right in the middle of Florence, on the banks of the Arno river. The beach on the Arno, where it's possible to enjoy the summer sun even in the city, is driven by an ethical spirit that is perhaps not known to everyone. The project was actually born with the intent of giving new life to the Lungarno zone through a series of interventions that would not disfigure the surrounding area, but would instead respect the natural environment and keep it intact. Easy Living is able to do this, keeping the beach clean (as well as the area around it), while guaranteeing a level of care for the green areas along the river. As a corollary to this social vision, staff offer free loungers and umbrellas to the public. The beach is more than just a place to place to spend a few hours relaxing - it is also meant for having fun. For this reason, Easy Living offers a number of different types of recreational activities. 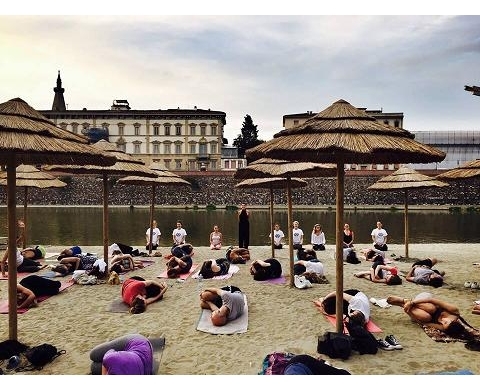 Every Wednesday starting at 19:30 it's time for yoga on the beach, now a rather famous meeting spot for florentine yoga practitioners. In addition there is a bocce field - and not the Italian type of bocce but rather the French version known as "La pétanque." A florentine architectural studio built a specially constructed field with panels made of wood and recycled materials, with seats to host spectators along the beach. 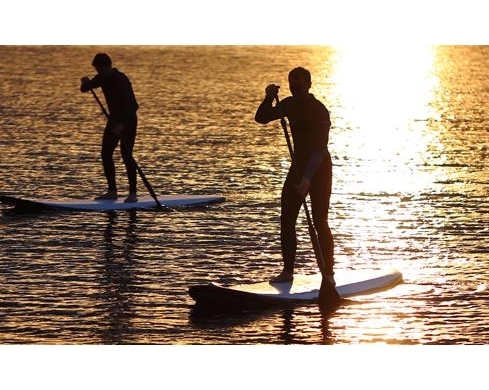 For those brave enough there is also the option to try Stand Up Paddle. This is an activity that has become fairly popular in the past few years, where an inflatable board is used to stand up on that allows one (with the help of a paddle) to move around in the middle of the river. Finally, there is also the possibility to rent spaces to play more typical beach sports: beach volleyball, beach tennis, foot volley, beach dodgeball, and beach soccer. 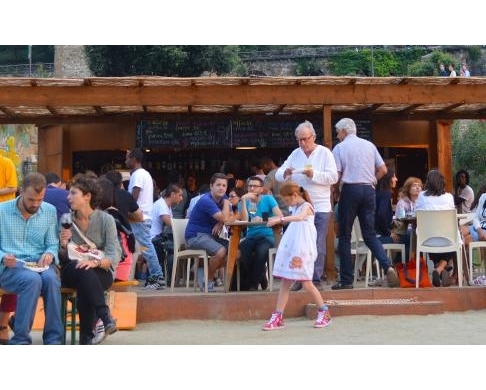 For cocktail lovers, on the other hand, a suggestion would be to visit the Kiosk on the terrace of the Arno, freshly restructured and serving Italian 'aperitivi' with a DJ set every Tuesday and Thursday. On this corner of the beach at sunset, you can admire Florence from a truly unique perspective, sipping a drink and nibbling on delicious snacks. At lunch there is an ample selection of sandwiches, salads and fruit smoothies for the more hungry visitors. While at dinner, the restaurant with river views offers a broad menu serving pizzas, big hamburgers and various seafood dishes. All of this based on the concept of healthy eating based on fresh, locally-sourced ingredients free from preservatives, artificial favors and aromas - in perfect harmony with the ethical project of Easy Living.